Warren Buffet is a straight up old-school ‘what you see is what you get’ kind of businessman. Even when he writes to his shareholders, unlike most corporate bigwigs who use big words in a few sentence of a newsletter, Warren writes about the numbers in the annual report as well as about himself, what he thinks and what he expects. In this book, which is an amalgamation of the best of his writings by Lawrence Cunningham, you will get to read everything that the Berkshire Hathaway shareholders read from Warren between 1979 and 2011. 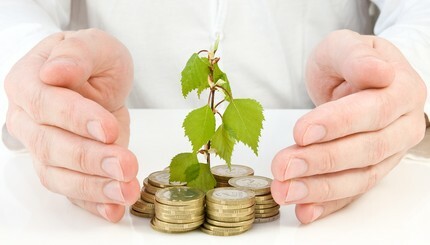 You should expect to read investment strategies he came up with, some of the best business practices his company used and tons of free advice suitable even for first time entrepreneurs. If I were to give you one solid reason to read this book it would be because I find Warren Buffet a very funny and a very wise man, everything he writes is important. I didn’t know much about Cunningham before I read this book but I understand that he is not only the editor of the book but a partner who contributed a great portion of it. Over the years I have read a wide range of business books, journals and reports but this one is fascinating because they weren’t written for a book reader – they are important official letters to other successful investors and the author is one of the most articulate and outspoken entrepreneurs in the world. 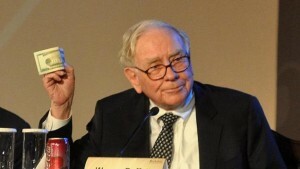 In the prologue section, Warren explains that the Berkshire Hathaway shareholders group are contacted directly by him or as he puts it “the fellow you are paying to make sure business is running”. He clearly demonstrates how positive energy and dedication combined with his natural leadership skills and management principles gets you what you want, where you want and when you want it. He explains in great detail what he has learnt over the years and with a great sense of humor includes tons of personal experiences and observations about the American investment market, its culture and economy and the most notable ups and downs of the last 25 to 30 years. 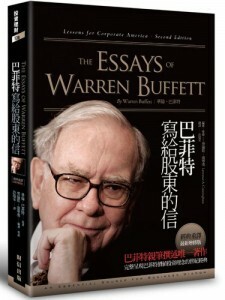 If you are the kind of reader who prefers to extract little information from a book and apply it before coming back for a new dose, then the essays of Warren Buffett is the perfect book for you because you can choose to read one letter in a few minutes and digest it for the rest of the day instead of waddling through fluff in a book and find your first point at the end of the chapter. The book is easily written but novices may find it a little difficult to keep the pace, this is perfect for intermediate investors.